I’ve always had a love/hate relationship with zoos. I love seeing the animals but hate the cages. I love the work they do for conservation but hate the fact I am not there viewing these wonderful creatures in the wild. I love seeing parties of schoolchildren fascinated and inspired but hate the lack of respect some visitors show to the lives looking back at them. My wife however has nothing but love for them. We have been to zoos all over the world: Barcelona, Pretoria, Austria. They say there are two certainties in life, mine are slightly different to other peoples in that they read ‘if there’s a zoo or a crazy golf nearby we’re visiting’. Hamerton Zoo Park, here we come…. Hamerton Zoo Park is located about 20 minutes from Peterborough and is signposted from both the major local roads; the A1 and A14. Forget Google Maps or your AA Atlas as long as you’re not brown colourblind you’re going to find this place pretty easily. 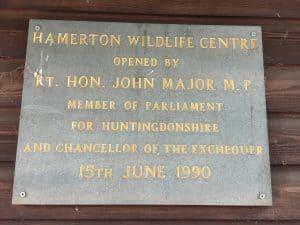 It was opened on 15th June 1990 by the then Chancellor of the Exchequer and Huntingdonshire MP John Major. Whilst he is a pretty notable I figured there must have been a more exciting choice, but a quick search of famous figures from Huntingdon came up blank. I mean Oliver Cromwell was born there but given he died in 1658 even the most polite of invitations was unlikely to be accepted. I gave up on searching and at least tried to find photos of old Honest John cutting some ribbon, but nothing. I did however come across this article from The Hunts Post in 2014 when a certain David Attenborough filmed at the Zoo which signs off with this gem…. The park is set in some fantastic countryside. We drove in from the A14 and were beckoned forward by picture postcard villages lining the route one after another. As with many of the wildlife parks around Britain, Hamerton’s location can seem rather surreal. 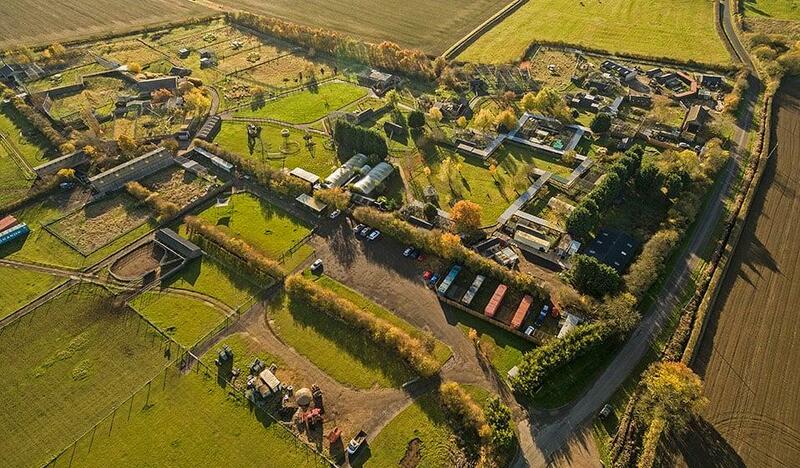 Zoos need alot of space (Hamerton is 75 acres) so are regularly set in rural locations which means tagging them on to small villages. The population of Hamerton Parish is only 112 which is less than the different species on display at the park and dwarfed by the 100,000 visitors a year that visit Hamerton Zoo Park! It must be an exciting life sharing your village with some of the rarest animals on Earth. But what can I say, the village I grew up in had a burned out school, exploding dog s**t bins and was famous for being an airfield that no longer existed. We can all brag. We arrived and paid for our tickets. At £13.99 for an adult and £8.99 for a child the prices seem reasonable, especially when compared to the prices you can pay for other luxuries in life. I can still feel the pain of the £18 cinema ticket I recently purchased for a showing that was in ‘4d’. I’m sure there in some un locked talent at my local World of Cine but how they managed to discover another dimension that 2000 years of science has naively overlooked I’m just not sure. “Well I suppose, but we could just make the seats wobble a bit and charge them £10 extra”. “Good shout, let’s just do that instead”. Ahem, back to the article. 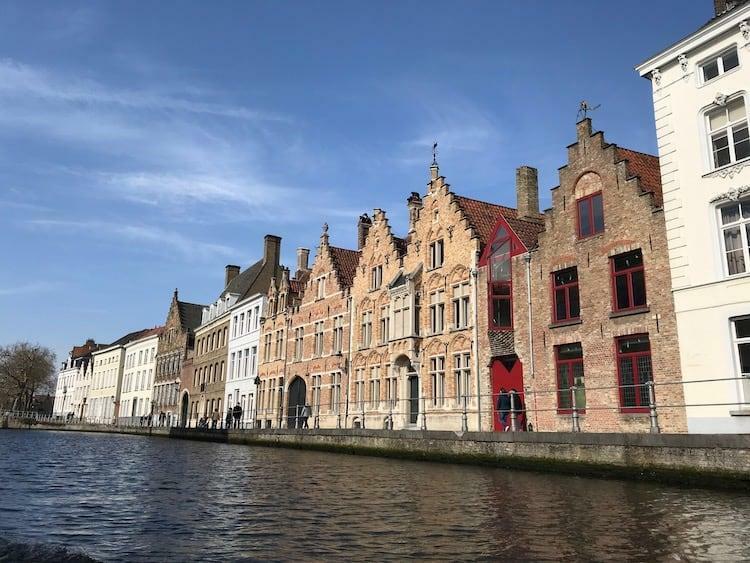 Reasonably priced season tickets are also on offer which make sense if you want to come more than three times a year and there are various other discounts available here. 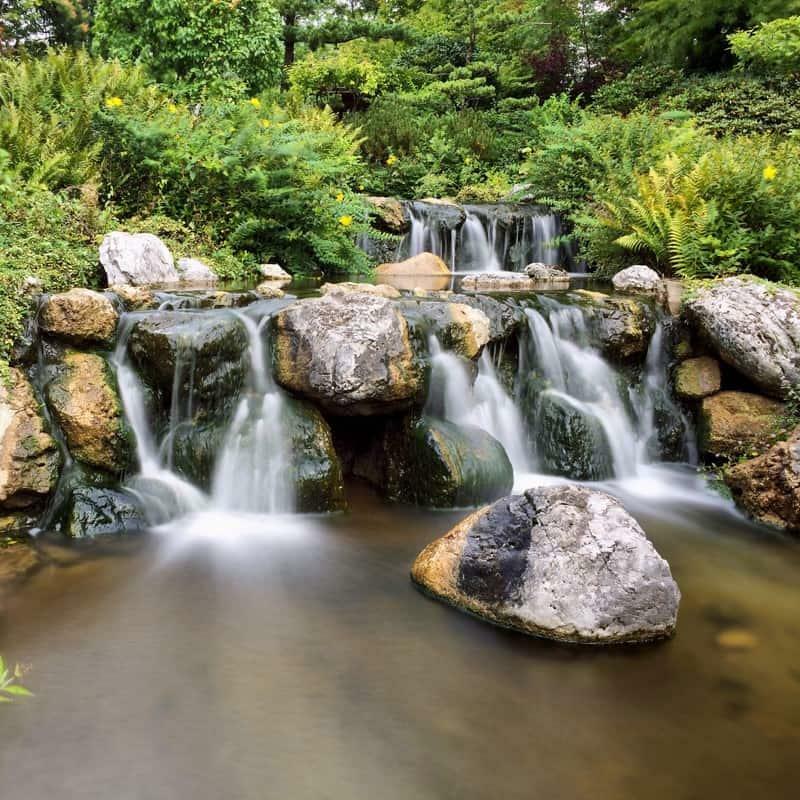 Hamerton Zoo Park sets its mission out as ‘providing a sanctuary for rare and unusual animals, where people can gain an insight into the conservation of the World’s resources’. 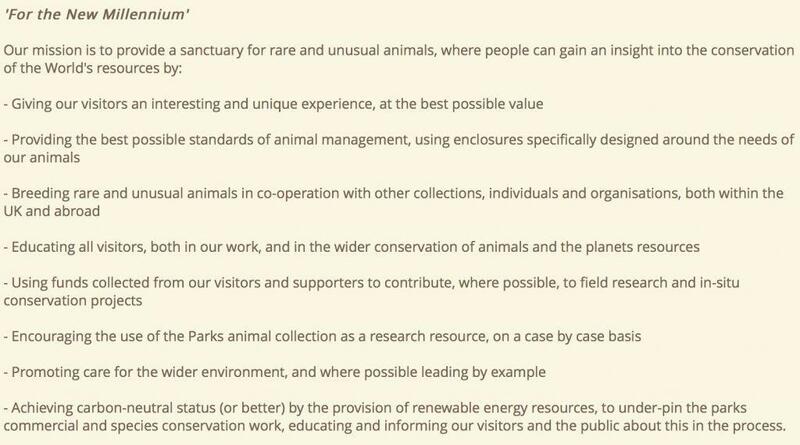 In a series of 8 statements it talks about animal welfare, conservation and education whilst trying to become carbon neutral. This place has some serious vision, let’s see what it has to offer. The first enclosure we came across housed a curious looking creature called a Binturong (or bearcat). Lying asleep facing away from us at the top of a tree it resembled how I would imagine a bodybuilding otter to look (I say imagine as my days as a trainer for semi aquatic mammals are long behind me); stocky front legs, black stiff bristle coat and wiry whiskers. 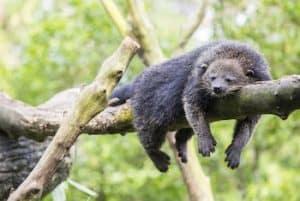 Known as a bearcat due to its cat like face and bear like body it is actually related to neither, falling into the same taxonomy as civets – of ‘poo coffee‘ fame. They seemed happy enough with ample space to move around and a little house to get away from the weather, the inside of which smelt like freshly made popcorn, another strange trait of the Binturong. The signage around the enclosure was fantastic giving us much more information than your average zoo notice boards. So here was Hamerton Zoo in a microcosm; unusual animals, good enclosures and fantastic information. It felt like this was going to be more love than hate. Away from our friend the Binturong there is a whole host of rare and unusual animals in Hamerton Zoo Park. Don’t come expecting to see all the celebrities – no rhino, lion, giraffe, buffalo or elephant are here for example – but if, like me, you are a bit tired of the normal zoo experience this will be right up your street. Forget about coming here to see your Robert Downey Jrs or Kim Kardashians. Hamerton has minimised space for the A-listers and given it over to something a lot more special. These are the old world tribes of the animal world, think the Karo, Tsaatan or Drokpa. Animals that rarely get spoken about and who are gradually disappearing from the planet. Ones who are not fighting for our attention on the front page of the papers everyday but who deserve their place in the world as much as any other. 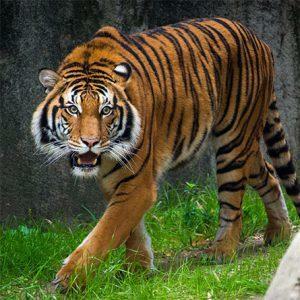 Let’s take the Malayan Tiger as an example. Only discovered in 2004 they were long thought to be Indochinese Tigers however, their small size prompted DNA tests which have shown them to be a separate species. Imagine a version of Jeremy Kyle in which the child not only turns out not to belong to the parent but actually a whole new species. Actually, given the characters they wheel out this may not actually be too far from the truth. Maybe I should write and suggest it as a plot? Unsurprisingly Malayan tigers are found mostly in Malaysia with a few pockets in Thailand. As of 2015 they are classed as ‘Critically Endangered’ one step from being wiped out of the wild completely. 25% of them have disappeared within one generation (classed as 7 years). Current estimates show around 250 in the wild. 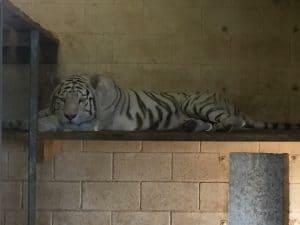 Captive breeding programs such as the one at Homerton are helping to preserve the tigers for the future and controlling the genetic code to prevent interbreeding. This is the kind of positive effect zoo can have on the world and prevent these incredible species from being the next up on ‘Last Chance To See’. There were many more than this but it gives you an idea of the brilliant variety of animals on show. It’s fascinating to see them and read about the great work Hamerton Zoo Park is doing to protect this rare fauna for future generations. 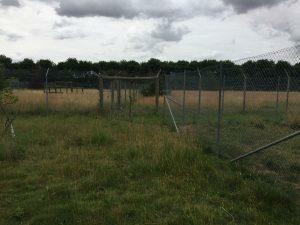 Hamerton has addressed one of my biggest hates about zoos – their enclosures – though even these won’t be for everyone. Most of the larger animals are kept in huge areas which are designed to feel like their natural environment. This means lots of places for the animals to hide away and retire to when needed giving an experience at least slightly akin to seeing them in the wild where you have to show patience and persistence to see what you are looking for. These traits were clearly missing from some of today’s visitors. Unhappy at the fact the collared lemurs were not dancing around like characters on CBeebies a family had decided tempting them over with a pack of Salt and Vinegar crisps was the answer. The parents watched on as children flung fried slabs of potato at the poor creatures. This is zoos at their worst. They should vet people on the way in. If you can’t beat a sloth at an IQ test then back to the car and off the premises. Or as Becca suggested, just stick them in a cage. Not a bad idea. I mean if you’re going to wind up the animals at least have some class and go for McCoys, or at the very least Cheese and Onion. I loved the size of the enclosures. The cheetahs for example, were housed in a massive area with long grass throughout. If they decided to have a lie down for the day they could stay well out of view, though we managed to see one hiding out in a clearing at the back! This means you may have to come back a couple of times to see what you’re looking for, which given the park didn’t feel too big and only took us a few hours to go around shouldn’t be too much of a problem. There is something exciting about staking out your place near an enclosure and waiting. It makes seeing the animals when they finally do appear a much more pleasing experience. This is clearly noted on the website when booking tickets, so obviously something the zoo are conscious of. It’s worth considering if you are bringing small children but for me I saw it as a real plus point. The smaller animals are held in the more standard enclosures however there was still alot of innovation. The chipmunks and squirrels had long runs that stretched long distances around the cages of other animals, the meercats were hanging out in their own little bit of the Namib desert. You could tell the older parts of the park with the more old school housing but the park felt really sympathetically designed with alot of green space leading you from section to section. It was also encouraging to see alot of development going on with the promise of a new space for meerkats amongst other things. This makes Hamerton a place worth coming back to and shows they’re working hard to make in an even better experience in the future. Hamerton stay true to their promise of education with fantastic information all around the site. This is often something lacking in zoos with a token A4 sized notice giving you a bit of information. No such problems here. All animals had a decent sized plaque board and most were treated to a larger sign giving alot more. The biggest areas had entire displays taking you through everything you could need to know. For an information geek like me this was heaven. It wasn’t all good news. The tiger display rammed home the point of how fragile we have made life. Three species have become extinct in the last 100 years, and whilst the human population has risen from 1.5 billion to 6.5 billion the wild tiger population has dropped from 100,00 to just 3,200. Read that again. 97% of all tigers in the wild are now gone and the Bali, Caspian, and Java tigers will never be seen. Even more scarily there are actually more tigers held privately in the USA than there are wild in the rest of the world. Maybe the work zoos do is alot more important to preserving these animals than I realised. Hamerton Zoo Park was much more love than hate for me. Whilst this place isn’t carved out in the mould of traditional zoos across the country this is its plus point. If you’re looking for somewhere informative, innovative and securing life for the future then it’s right here. Sure you can find bigger places with more animals but I’d take quality over quantity any day of the week. There is something really special about locking eyes with an animal that you have never seen the like of before, learning more about it and hearing that places like Hamerton are doing their best to ensure my children and my children’s, children get the same chance. Now all they need to do is come up with that sloth IQ filter thingy and I’ll become a trustee for life…. Jimmy Nelson.com – An incredible website by photojournalist Jimmy Nelson, dedicated to creating awareness of indigenous people through photography. India Alarm Over Rising Tiger Deaths – This article appeared on the BBC news website a day after our visit to Hamerton Zoo Park and highlights the problems tigers are facing. 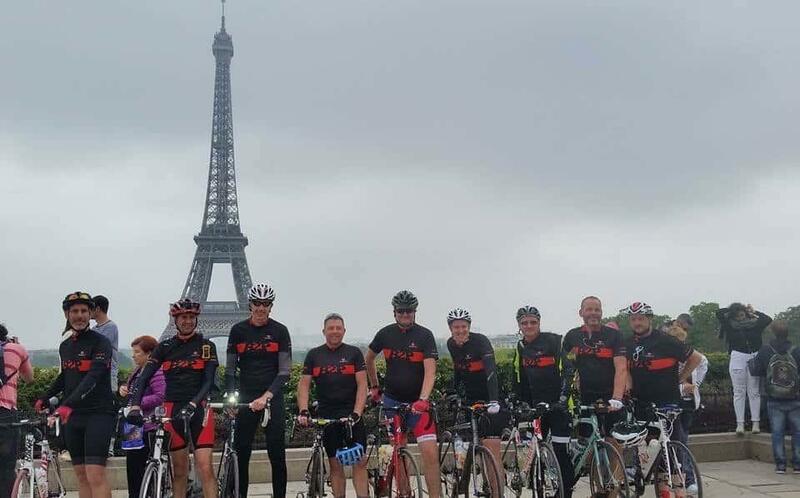 Previous Post Biggleswade To Paris - 240 Miles Non Stop! Next Post Take Better iPhone Photos: 5 Tips to Become an Insta-Legend!